Thanksgiving is just around the corner, can you believe it?! This time of year always seems to pass so quickly, and its just not fair. There is nothing better than gathering together with family and friends and eating delicious food. That’s why we love bringing you awesome, easy recipes – so you can enjoy your time with family. For us, that means, eating, visiting, more eating, then shopping!! And today’s recipe is perfect to enjoy after that shopping on Black Friday. 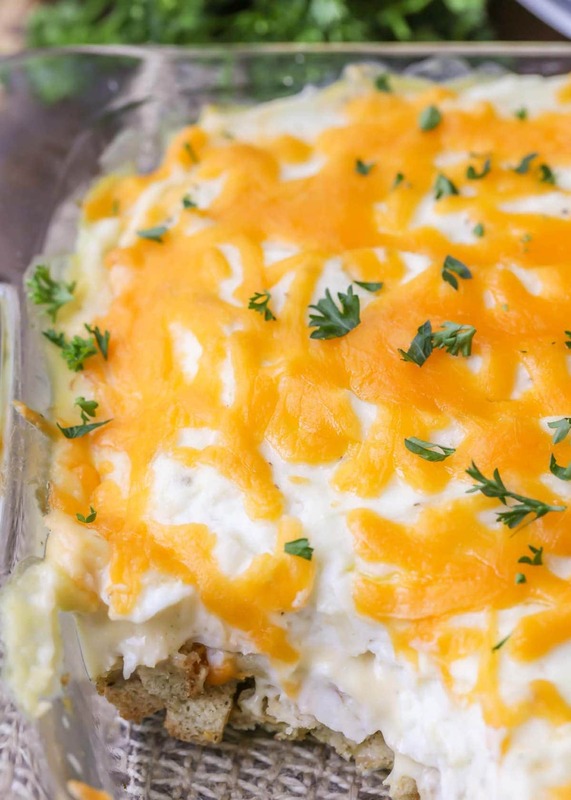 It’s a Thanksgiving Leftover casserole that is delicious! 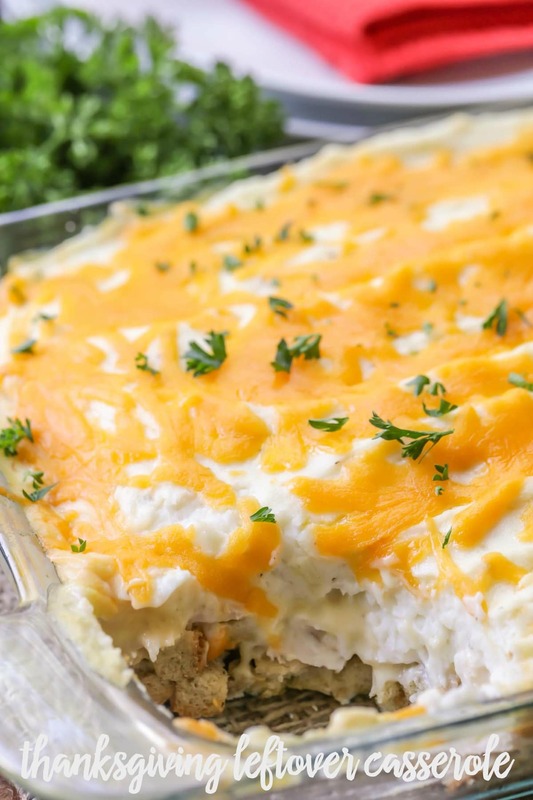 This Thanksgiving leftover casserole is the perfect meal to enjoy in the following days after Turkey Day. We’ve listed the full instructions if you’re making everything from scratch OR you can use all of the previous days’ leftovers. 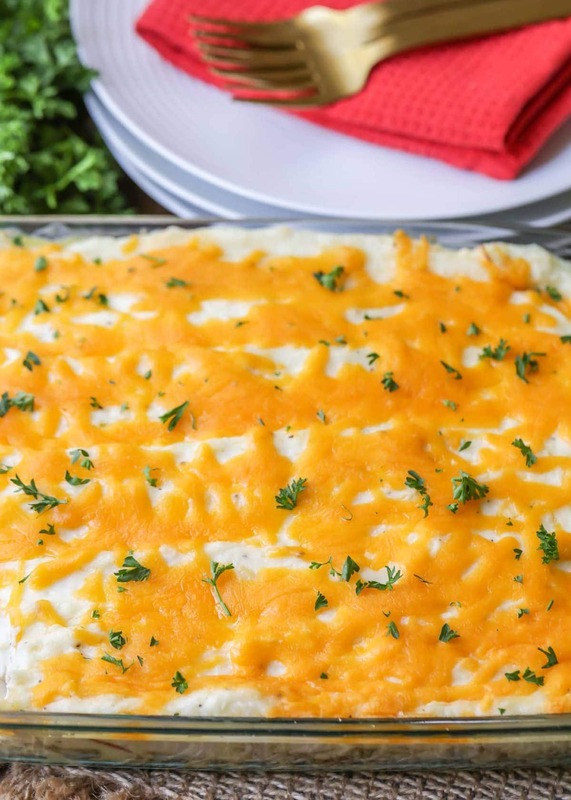 This specific casserole is filled with stuffing, potatoes – all the fixings from the day before! Easy, right?! Everyone needs an easy meal after all the work of Thanksgiving. 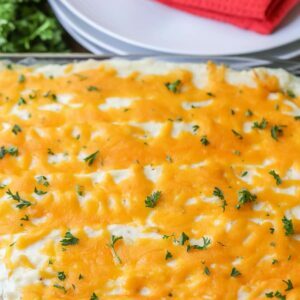 Thanksgiving Leftover Casserole - made with mashed potatoes, turkey and stuffing. 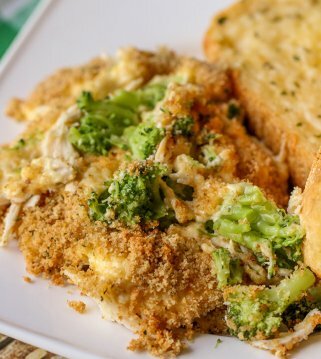 A great dish to make with leftover food from Turkey Day! Place potatoes in a large pot and cover with water. Bring to a boil, reduce heat and cook for an additional 12-15 minutes (or until tender). 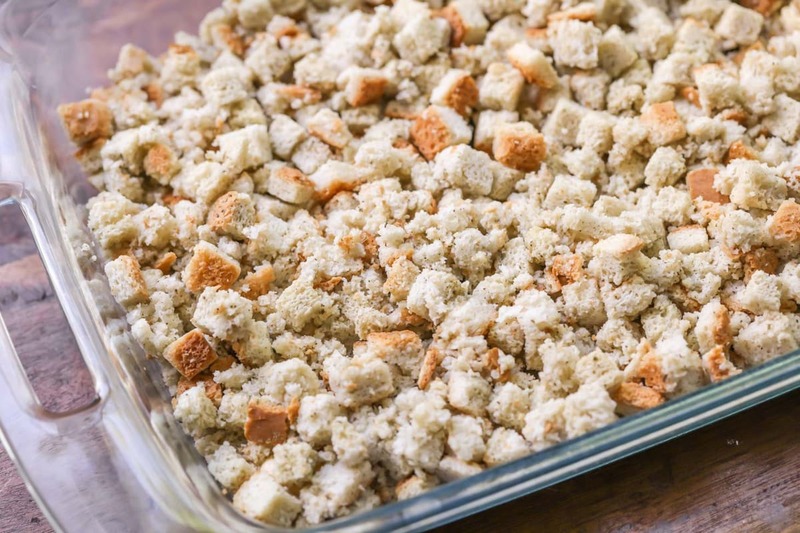 While potatoes are cooking, combine stuffing cubes, poultry seasoning and sage in a large bowl. 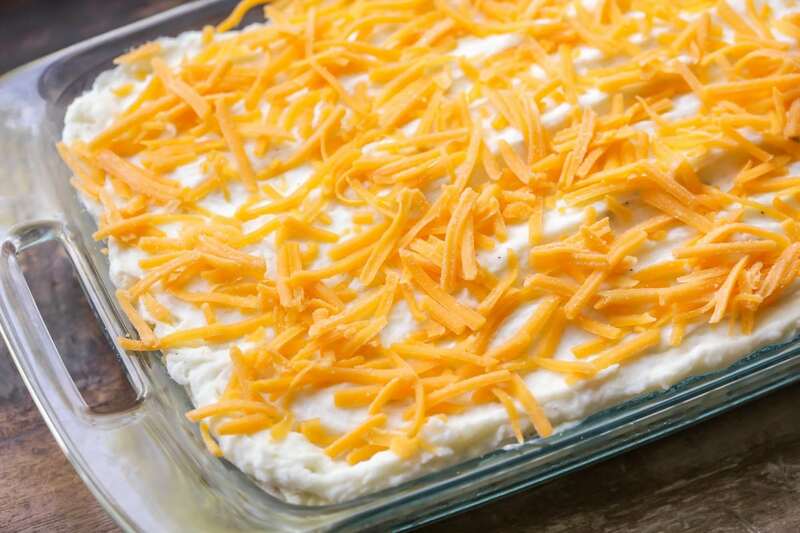 Stir in broth and pour into a greased 9x13 baking dish. In another large bowl, combine the turkey, soup, garlic powder and ¼ cup sour cream. 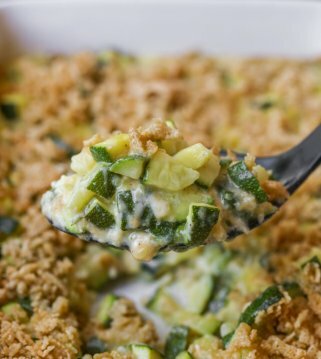 Spoon over stuffing mixture. 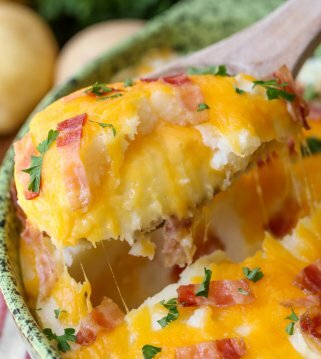 Drain potatoes and mash in a large bowl. 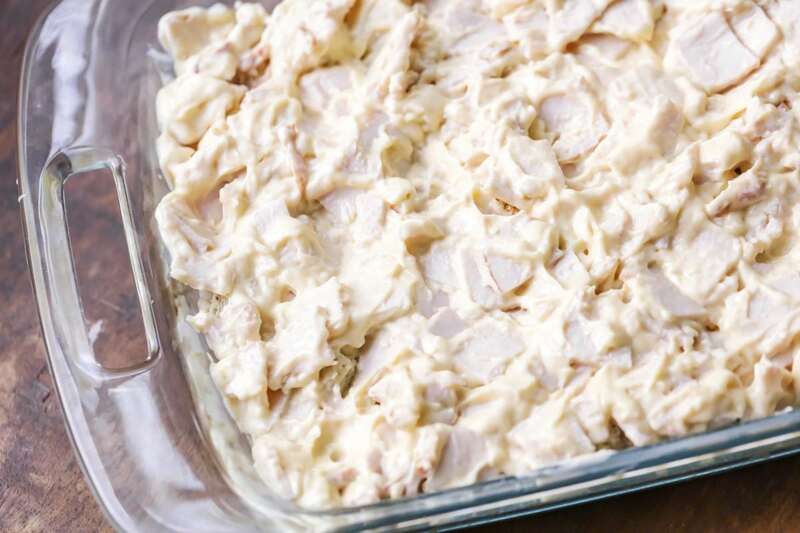 Beat in the cream cheese, pepper, salt and remaining sour cream, and Spread over turkey mixture. 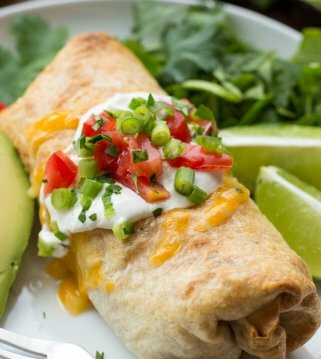 Sprinkle with cheese and bake for 30-35 minutes at 350. ENJOY! I’m confused, why is the video in the middle of this post for another recipe?